If you want your smile to stay healthy for life, it’s important to practice good oral hygiene habits. These habits include brushing and flossing your teeth daily, as well as visiting your dentist at least twice a year. 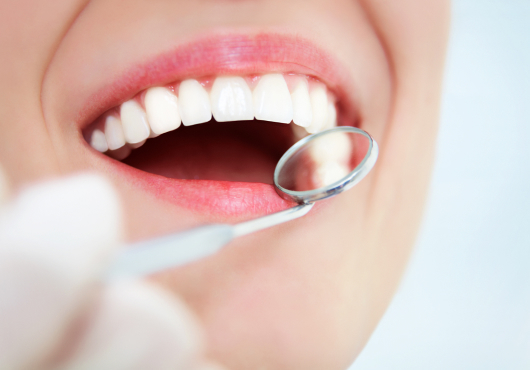 Regular dental appointments are often overlooked, but they’re extremely important. Our team at Kenton Dental Care wants to ensure you get the most out of your visit. We take pride in offering complete dental service and demonstrating good habits for maintaining your smile. These checkups also give you an opportunity to address any concerns you might have and get your questions answered directly by the dentist. You may even learn about new treatments or technology that can improve the health of your smile. Oral cancer is a serious disease that afflicts over fifty thousand Americans every year. Early diagnosis is essential for surviving this dangerous disease. That’s why we include oral cancer screenings as part of our regular dental checkups. These screenings are fast and easy, consisting of a hygienist visually examining your mouth, as well as feeling your gum and throat tissues. If any abnormalities are detected, we may collect cells with a brush so we can send them to a laboratory for more thorough analysis. Depending on the results of this test, we may recommend a biopsy to get a more accurate diagnosis. In addition to scheduling regular checkups, you can help to prevent oral cancer by avoiding tobacco products, eating a balanced diet, and wearing UV-blocking lotion when you’re exposed to the sun. Over the years, we’ve noticed that our patients have a lot of questions about dental hygiene. For your convenience, we’ve compiled some of the most common questions and answered them here. If you have a question that isn’t covered, please contact our practice and speak with a member of our team. Regular dental visits will help prevent tooth decay and gum disease, both of which can lead to tooth loss and jawbone deterioration. These visits will also keep your breath fresh and your smile shining bright, improving your self-esteem. Poor oral health often leads to major complications for your overall health, so it’s important to maintain your teeth and gums. Yes. Even if your teeth are perfect, you still need to visit your dentist — without regular checkups, your teeth won’t stay healthy for long. Additionally, many oral health issues can exist without you noticing and it’s important to receive a proper diagnosis before an issue gets out of hand. What should I look for when choosing my dentist? There are a few essential factors you should consider when choosing your dentist. First of all, you want an office that’s close by and easily accessible, with an appointment schedule that’s convenient for you. It’s also a good idea to find out if the cost of treatment is reasonable. Finally, you’ll want to make sure the dentist is certified by the ADA (American Dental Association) and that you feel comfortable around him or her. It’s also a good idea to consult reviews and look at treatment results from previous patients. How do I take care of my teeth between appointments? You can’t rely solely on dental appointments to keep your teeth healthy — you also need to practice good oral hygiene at home. Make sure to brush your teeth twice a day and floss at least once daily. Use toothpaste with fluoride to prevent cavities, and try to limit your consumption of high-sugar foods. You should also avoid using tobacco products. The American Academy of Pediatric Dentistry (AAPD) advises that you schedule your child’s first dental visit as early as six months and no later than their first birthday. This is the stage when your child’s first teeth will begin to emerge, requiring examination by a dentist. After this first visit, don’t forget to schedule regular checkups every six months. No matter your age or the state of your teeth, everyone should visit their dentist at least twice a year. Patients who are at higher risk for oral complications may need to visit more often. Ultimately, your dentist will advise you on how often to schedule appointments. A cavity is a hole that forms inside your tooth as a result of dental decay. The bacteria that causes tooth decay consumes excess plaque and tartar on your teeth. Without treatment, cavities can wear down your enamel and eventually lead to tooth loss. The best way to prevent cavities is with daily brushing and flossing. Dental fillings are used to fill the space left by a cavity and restore the tooth to full function after the surrounding decay has been removed. They can be made from a range of different materials, including ceramic and gold. If you need a filling, make sure to ask your dentist about the different options available. If I’m seeing an orthodontist, do I still need regular dental checkups? Dental care and orthodontic care aren’t mutually exclusive — in fact, it’s even more important for patients receiving orthodontic care to visit their dentist regularly. 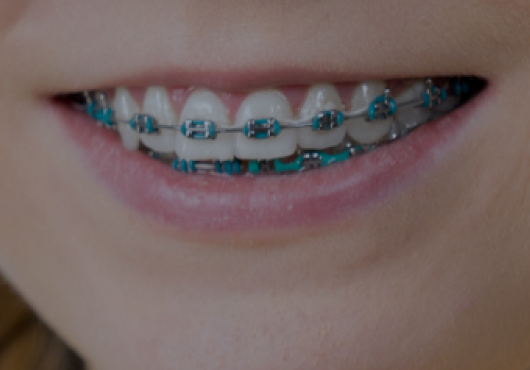 Regular checkups are crucial for patients who wear braces, as food can easily get stuck in areas you can’t reach and lead to infection. 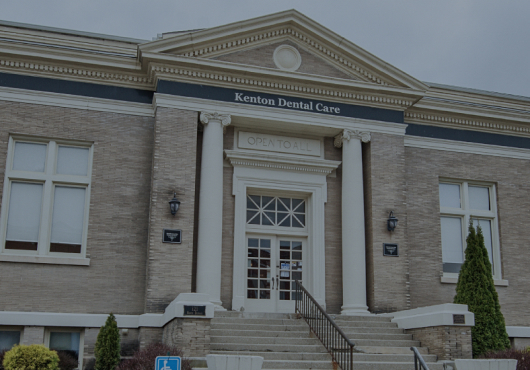 Scheduling a checkup at Kenton Dental Care is easy — all you have to do is call our practice at (419) 673-0706. You can also fill out our convenient appointment form and a member of our team will get back to you as soon as possible.